Both President Trump and Chinese President Xi strive to make their own country great again. The world is wondering: who will get most of what he wants and who will cave? President Trump arrived in Beijing on Wednesday, beginning his much-anticipated first state visit to China, which is probably his most challenging stop during his long visit to Asia. Unlike the first two countries he visited, Japan and South Korea, which are close U.S. allies, China, with its growing military and economic power, huge trade deficit with the United States, and an ultra-ambitious, authoritarian leader eager to bring China back to a world power center, is best described as the United States’s frenemy. Both President Trump and Chinese President Xi Jinping strive to make their own country great again. When these two alpha males meet for the second time this year, but on China’s turf this time, the rest of the world is wondering: who will get most of what he wants and who will cave? Here are some takeaways from Trump’s first day in Beijing. The Chinese are known for their hospitality and they know how to treat a guest well. Prior to President Trump’s visit, China’s foreign ministry promised to give him a “state visit-plus” kind of royal treatment, using all the grandeur at their disposal to placate his big ego. President Trump’s first-day activities showed that the Chinese kept their word. President Trump and the first lady received a red carpet welcome ceremony at Beijing International Airport, featuring a military honor guard. The president and first lady exited Air Force One from the front gate, a stark contrast to President Obama’s visit in 2016. Back then, the Chinese snubbed President Obama by obliging him, the supposed leader of the free world, to exit from the backdoor of Air Force One and without a red carpet welcome. Many observers viewed that as a sign of America’s retreat and China’s rising. President Xi also sought to impress President Trump and the American entourage with an exclusive visit to one of China’s most famous world wonder sites: the Forbidden City, an ancient Chinese imperial palace used by emperors from the Ming dynasty to the end of the Qing dynasty(1420 to 1912). While other U.S. presidents enjoyed private visits to the Forbidden City, President Trump is the first U.S. president to have dinner inside it. The dinner location was Jianfu Palace, a favorite palace used often by Emperor Qianlong (1711-99), the last emperor to rule China when China was at the peak of its military power and national wealth. Since Xi has vowed to return China to its former glory, it’s obvious he painstakingly chose this place to host his American guests. On the one hand, the kind of hospitality President Trump received so far is rare, which shows that Beijing still recognizes the United States’ undisputed world leadership. On the other hand, Xi wants the United States to accept that China’s rising is merely a return to its historically rightful place in the world. While President Trump and the first lady were touring the Forbidden City, a U.S. business delegation led by U.S. Commerce Secretary Wilbur Ross signed about US$9 billion in business deals with Chinese companies. The Chinese side called these deals merely a “warm up” and promised more good deals to come on Thursday. The Chinese understand that, since he’s a businessman, the bilateral trade imbalance is high on President Trump’s agenda. It didn’t help that right before President Trump’s touchdown in Beijing, the latest trade data showed that China’s trade surplus with the United States in October was US$26.6 billion, the second-highest on record. As the world’s second-largest economy, China can afford to throw some sweet trade deals to the Americans to avoid some tough talks on trade and North Korea from President Trump. While these business deals are welcome gestures, they are unlikely to address two big concerns from American companies. First, the Chinese government coerces American companies to hand over their technical know-how and intellectual property as the price of doing business in China. Second, China’s state-sponsored actors steal American companies’ intellectual property through hacking and espionage activities inside the United States. The Commission on the Theft of American Intellectual Property estimates that such activity from China costs the U.S. economy at least $600 billion a year. Hopefully, President Trump won’t let a few business deals here and there stop him from bringing these concerns to President Xi. China has stepped up certain sanctions against North Korea since Trump became president. But out of its own strategic concerns, China’s actions towards North Korea have always been “two steps forward, one step back.” While China increases its economic sanctions against North Korea, following the United Nations resolution, the actual trade data shows the bilateral trade between China and North Korea actually increased this year. There’s no doubt that President Trump expects China to do more, but Chinese President Xi either won’t or can’t give Trump what he wants. Xi just became the most powerful person in China since Mao after a major power shuffle in the 19th Chinese Communist Party Congress. He’s got the wind at his back, and he doesn’t want to be seen bowing down to America’s demands on the North Korea issue, especially on his own home turf. As I wrote before, China and the United States have different strategic concerns on North Korea issue. Therefore, we’re unlikely to see any major breakthrough or announcement on North Korea after Thursday’s summit between the two leaders. Besides North Korea and trade, some other items President Trump should bring up include China’s synthetic drug exports, which fuel America’s opioid crisis, and China’s increasing human rights violations (the latter is unlikely since Trump has never called out China on human rights issues). The Chinese have their own wish list too. They likely want a clear statement from Trump on the “one China” policy regarding Taiwan. They may also want an acknowledgement of China’s territorial claim on the South and East China Seas and seek the minimization of U.S. Navy Freedom of Navigation patrols in the area. China also wants less scrutiny of Chinese firms that wish to acquire American companies in strategic industries. At the end of the three-day summit, it will be very interesting to see how much each side gets of what they wanted and how much compromise is made. Helen Raleigh is a senior contributor to The Federalist. 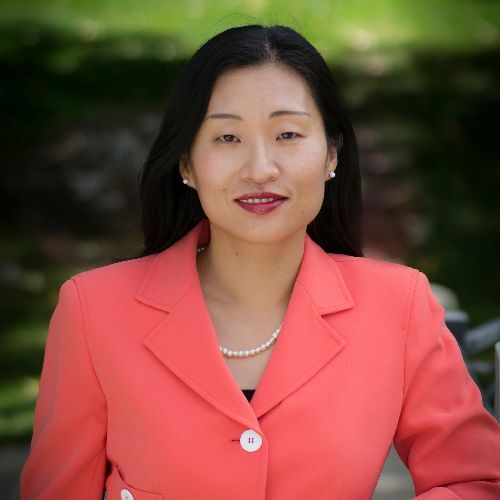 An immigrant from China, she is the owner of Red Meadow Advisors, LLC, and an immigration policy fellow at the Centennial Institute in Colorado. She is the author of several books, including "Confucius Never Said" and "The Broken Welcome Mat." Follow Helen on Twitter @HRaleighspeaks, or check out her website: helenraleighspeaks.com.